Usually we cry in response to an emotion or an irritant like onion. Tears can hydrate the eye, they can flush toxins out or even fight bacteria. Crying can also increase survival by better showing our appeasement or sadness. Crying is associated with strong emotion, particularly sadness, but can also occur in response to eye irritation or other stimuli. What causes crying, and what purpose does crying serve? People cry for a variety of reasons. Although crying most often happens in response to sadness, it may also occur with other strong emotions, such as anger or happiness, and can help flush toxins out of the eyes in certain situations. By varying the content of tears, the body addresses the issues causing it. Emotional crying is triggered by hormones released by the endocrine system. Before this happens, however, the body processes the situation in the cerebrum. Depending on the individual and the circumstances, this type of crying may occur in response to mild sadness or intense grief. In social situations, emotional crying serves as a signal. Crying blurs vision and increases vulnerability, which sends others nearby a signal of appeasement. Also research shows that tears increase the interpretation of sadness. These two effects can boost survivability in many social situations. Although performed for different reasons, tears of joy can also strengthen bonds as a show of solidarity. Another interesting fact is that toxins are flushed out of the body during crying. This may contribute to improved physical and emotional well-being after the outpouring. Both types of emotional crying involve the hypothalamus and basal ganglia, which are parts of the brain directly connected to the tear ducts. Emotional tears are actually just one of three distinct types of tears. Other types are basal tears, which help maintain moisture in the eyes, and reflex tears, which can develop after the eyes are exposed to irritants. Basal tears are abundant, measuring out to between five and 10 ounces per day, and run down the nasal cavity. Several irritants are known to cause reflex tears. 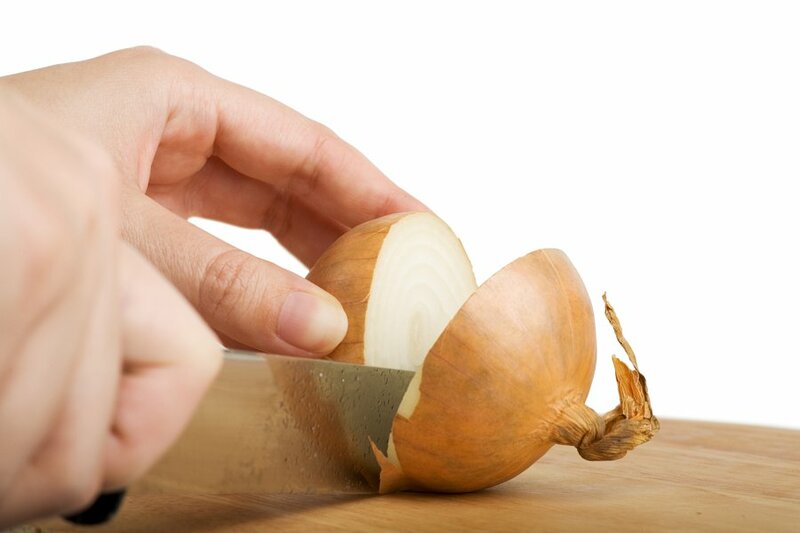 Onions, one of the best-known causes of reflex tears, contain a chemical called propanethial-S-oxide, which activates the tear glands. Pollen and smoke are two other common sources of tear-inducing irritation. Water makes up 98 percent of the content of emotional tears, which also contain the hormone prolactin, which is associated with production of breast milk. Adrenocorticotropic hormones, involved in stress, are also present. 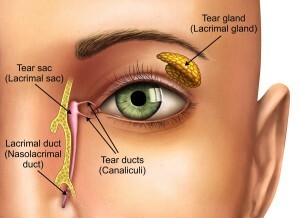 Finally, emotional tears contain leucine enkephalin, which has pain-killing properties. Many chemicals in tears have yet to be studied. Reflex tears carry a variety of immune-supporting substances, including immunoglobulins, lysozymes and antibodies. Basal tears are also full of substances that help guard the eyes from harmful microorganisms. Babies, men and women have been shown to cry in different amounts and for different reasons. For the first few years of life, babies cry to announce their need for food. Crying for a variety of other needs starts in early childhood, signaling the development of manipulative crying. Prolactin, which is present in larger amounts in women compared to men, may help explain why women generally cry more than men. In fact, women are more likely to cry in response to a variety of social situations. By contrast, men are more prone to crying in the face of significant loss. Other animals may whimper, but even non-human primates do not cry for emotional reasons as humans do. Elephants, however, have been seen crying after being rejected by parents or freed by animal welfare agents.